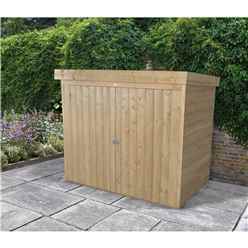 The pent large outdoor store is a practical and spacious storage solution for any sized garden. 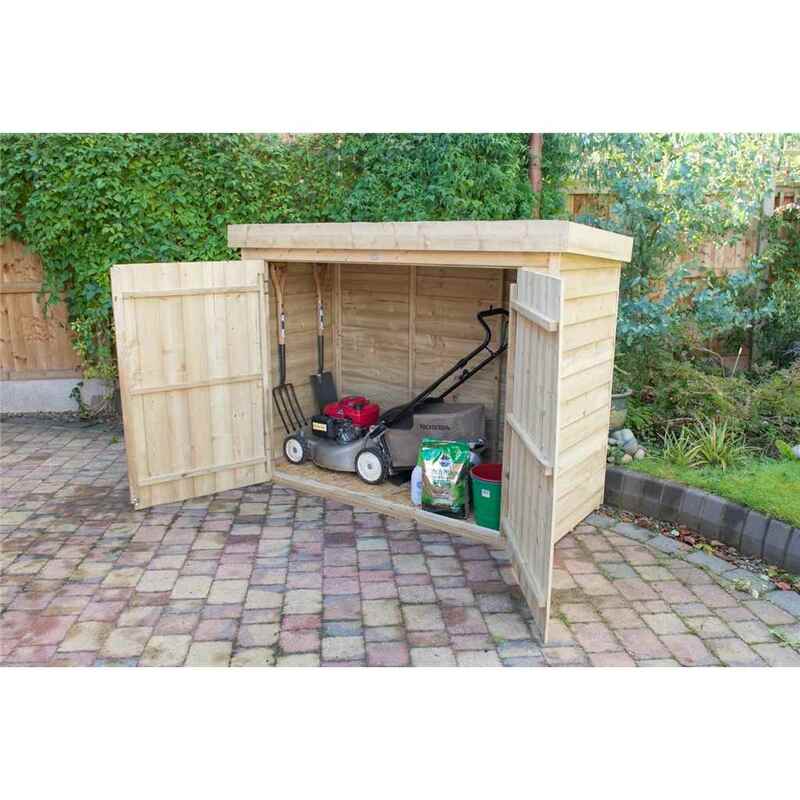 The unit is ideal for storing mowers, folding furniture or a bike. 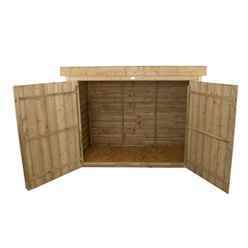 It is constructed from pressure treated overlapping timber panels with the front panels tongue and groove shiplap, all mounted onto pressure treated bearers to prevent water damage. 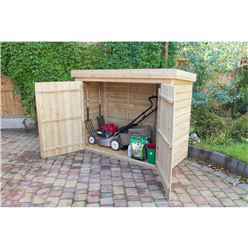 The store has an approximate 2000 litre capacity and a felted pent roof that can be installed either sloping forwards or backwards. The doors hinged are hidden for security and they are secured by a plate hasp and staple fastening.